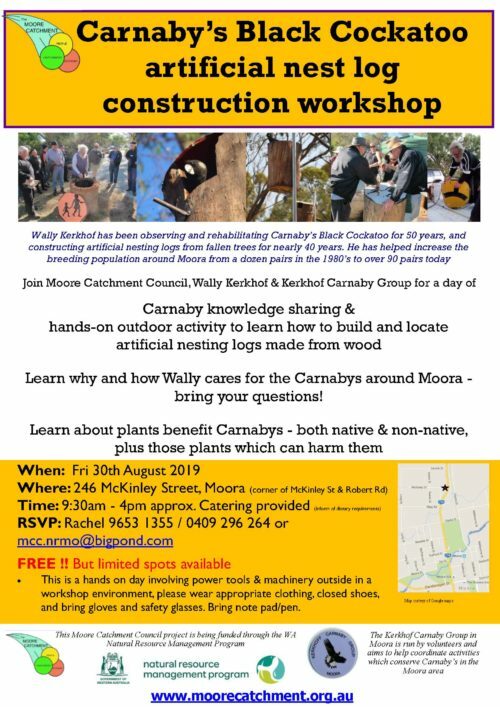 Learn why and how Wally cares for the Carnabys around Moora – bring your questions! • This is a hands on day involving power tools & machinery outside in a workshop environment, please wear appropriate clothing, closed shoes, and bring gloves and safety glasses. Bring note pad/pen.